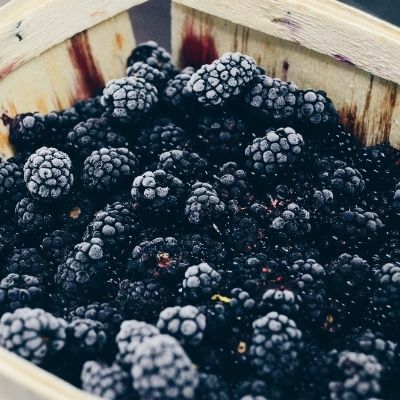 A heavenly, lush and not too sweet blackberry that puts all other blackberries to shame! Blends well with other fruity fragrances, vanilla, or ginger. Use between .3 oz - .4 oz per lb of oils in cold process soap. All 5 LB size fragrance oils will be shipped in plastic & must be transferred to glass upon receiving.